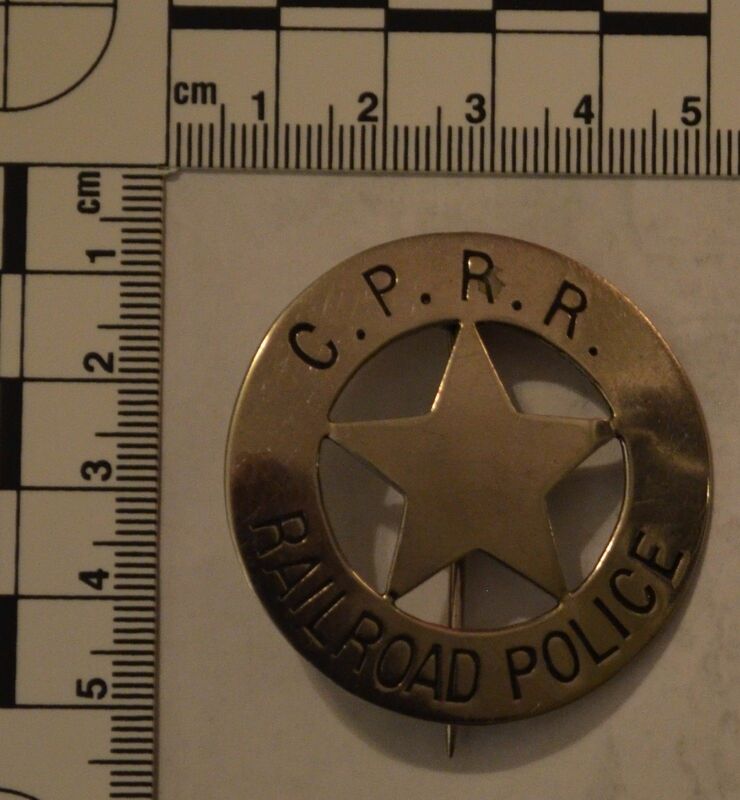 "Historic CPRR Railroad Police Badge Comes Available"
I know there are some serious CPRR collectors here who might be interested in the change to obtain a historic CPRR Railroad Police badge. 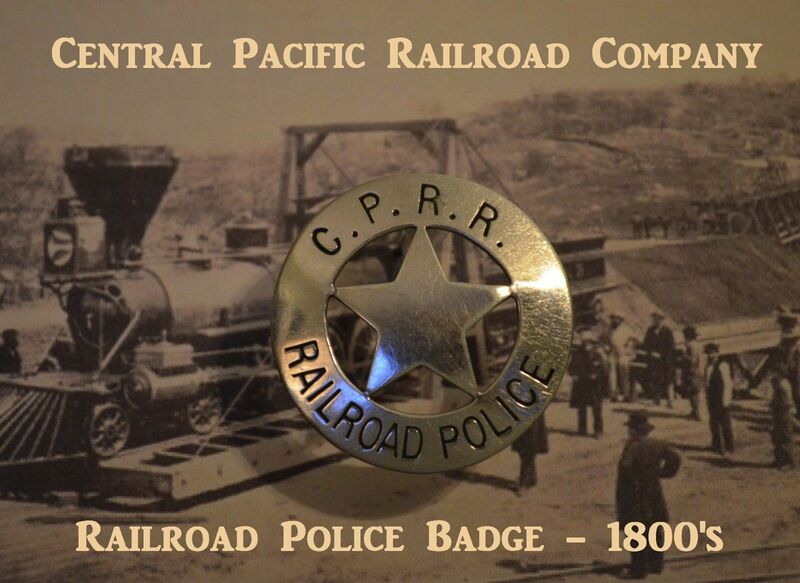 This is the same badge that I posted about back on November 25, 2007. 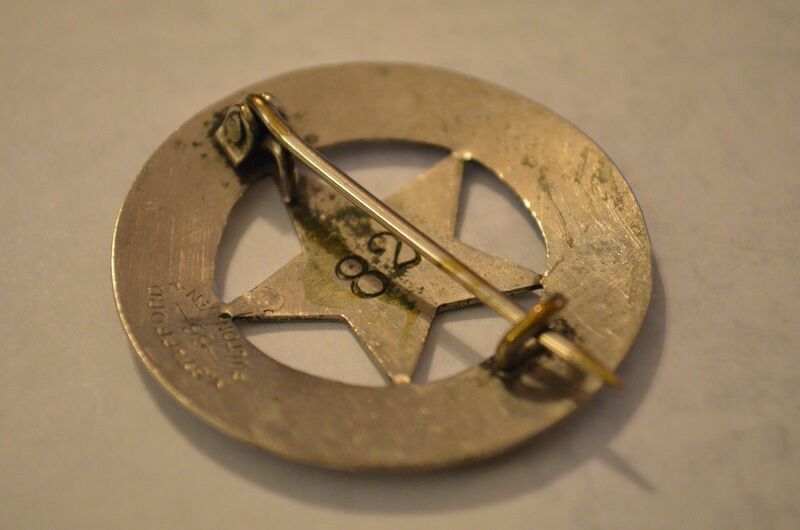 This badge was worn sometime between 1862 and 1884. 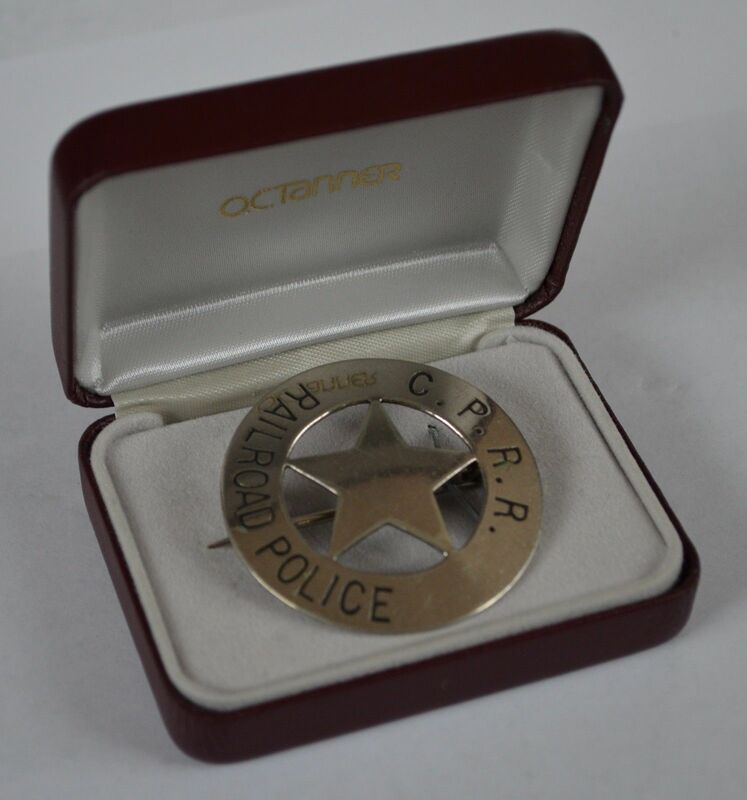 After 30+ years in law enforcement, I'm thinning out my police insignia collection and have decided to let this one go to someone who would appreciate what it is and display it well. It is available on eBay now.
" ... 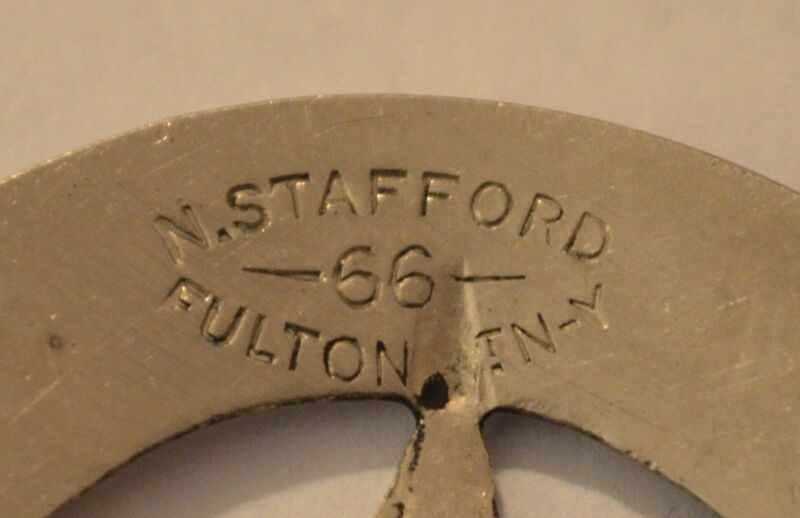 It bears the stamped "N.STAFFORD" hallmark from its maker, typical of CPRR badges of the era. 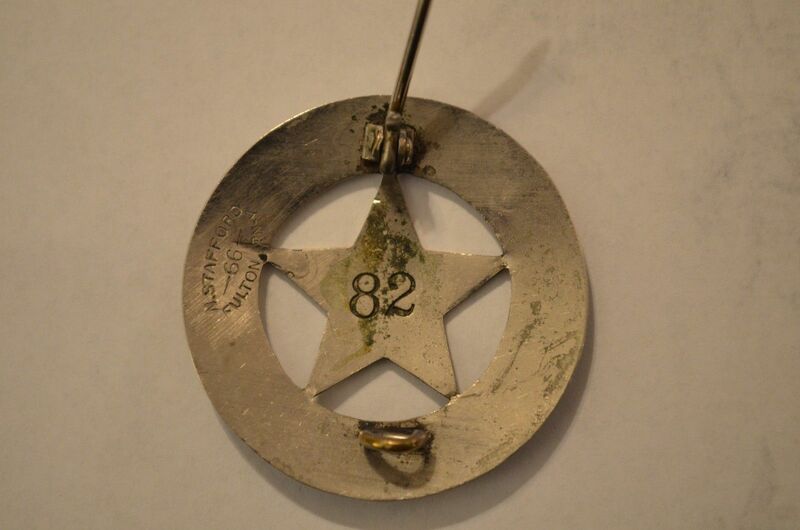 Badge number "82" is stamped in the center of the back. Regrettably, no history is available on who #82 might have been worn by. 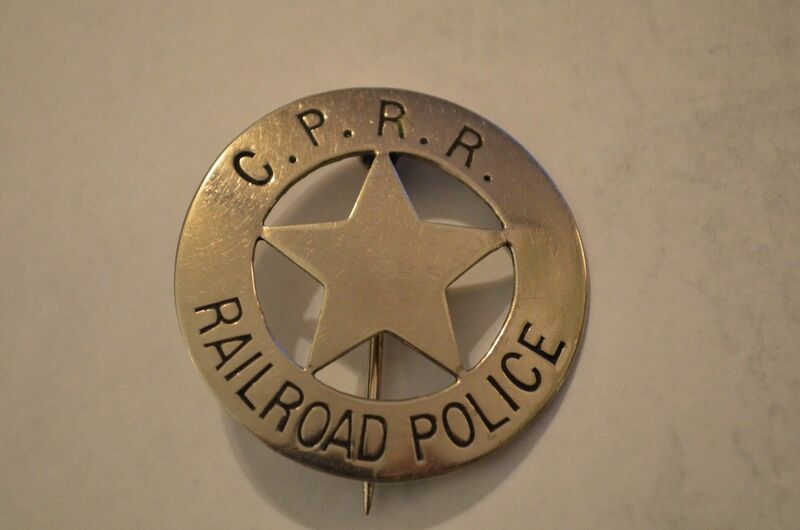 This is one of two styles used by the CPRR between 1862 and 1884, the other style having 'Special Police' across the top and 'C.P.R.R. "'across the bottom, but otherwise the same. It is unknown which style was used first." 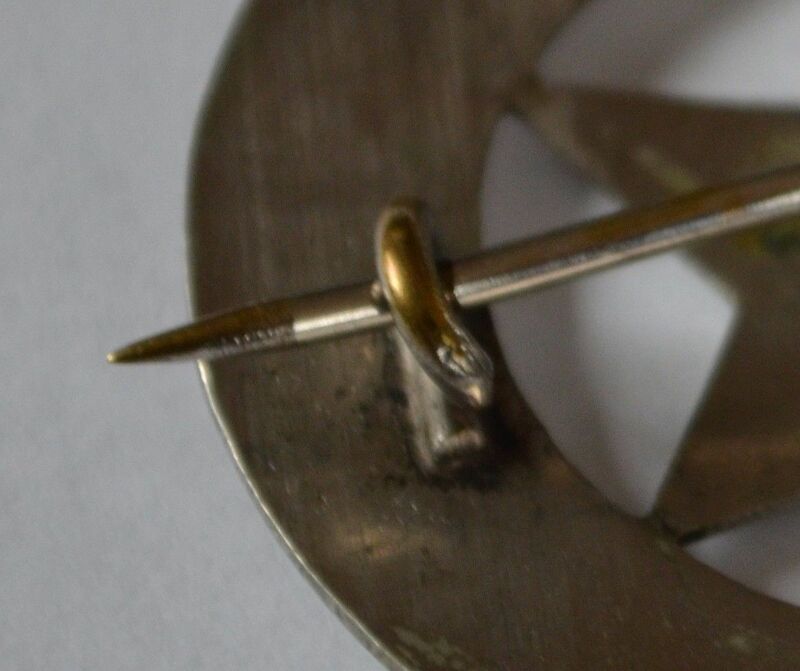 Links are not merchant endorsements – caveat emptor.